A TODDLER who trapped her pinky finger in a door had to be rescued by firemen after she locked herself, mum and baby brother in a bedroom. Elspeth McDiarmid, who turns two tomorrow, went to say hello to her mum, Christina, as she breastfed two-week-old Archie in their home at Easter Road, Edinburgh. But, Mrs McDiarmid said, Elspeth somehow managed to get her little finger completely stuck as she tried to close the door, leaving her mum unable to open or close it to free her. Mrs McDiarmid, 28, said: “She was howling, I was completely stuck, and my son was on the bed because I’d been calmly breastfeeding him when she came in. A TODDLER who drowned after falling into a garden pond will be laid to rest on Saturday in what his parents hope will be a celebration of his life. Little Charlie Berry, three, died at Edinburgh’s Sick Kids Hospital after toppling into water while visiting a house in Murrayfield, Edinburgh. Medics tried in vain to resuscitate the youngster, who was born 12 weeks premature according to the minister leading Saturday’s church service. His parents Julie and Brian, from Kelso, described their loss as “a tragic accident” and invited all friends and family to wear colourful clothes at his funeral. HEARTLESS thieves have left a Scottish family devastated after eight rare ducks were swiped from a pen in their garden. The four breeding pairs of Khaki Campbell ducks were looked after by 13 year-old Stewart Thornley, who raised them from eggs. Police fear the fowl were stolen to order and are calling on the nest-raiders to hand them back. Duck detectives believe the eight Khaki Campbells were specifically targeted as there were other birds in the pen left untouched. BOLLYWOOD landed in Fife this week as the cast and crew of the Indian movie Mausam descended on RAF Leuchars near St Andrews for two days of filming. After filming across Edinburghs New Town, Portobello Cemetery, New College and the former Crollas store in Newhaven, the entire operation shifted over the Forth to Fife to film key scenes at the RAF airbase. The film tells the story of a young Indian man who leaves behind his life and girlfriend in Scotland to join the Indian airforce and fight a war with Pakistan. 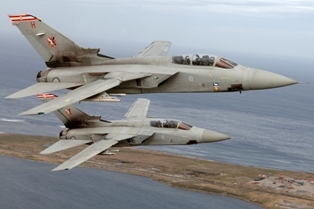 The crew spent two days at the Leuchars airbase, and contrary to reports on some Bollywood gossip websites, main star Shahid Kapoor, 29, did not fly a Tornado jet. A MAN who sparked a four-hour stand-off with armed police after a knife rampage has been ordered to do 80 hours of community service. Denim MacLeod, 28, left the walls of his girlfriend’s flat dripping with blood after cutting himself with a serrated kitchen knife. A neighbour fled the flat in terror but his brave girlfriend stayed with him as police tried to coax him out. At one point he lunged at the officers with the knife, but they managed to keep their cool and persuade the “agitated” MacLeod to give himself up and he was arrested and treated for his self-inflicted wounds. TWO unhappy tourists had their motorbikes stolen – leaving them with a loss of over £20,000 – after they were left unsecured in a guesthouse car park. A grey and silver BMW worth £15,000 and a black Yamaha worth £8,000 were taken from outside the guesthouse on Minto Street, Edinburgh. Both bikes had Swiss registration plates, and were taken some time between 2.30am and 8am on Tuesday. Last week another foreign-owned motorcycle parked on Brunswick Road was thieved by two youths. 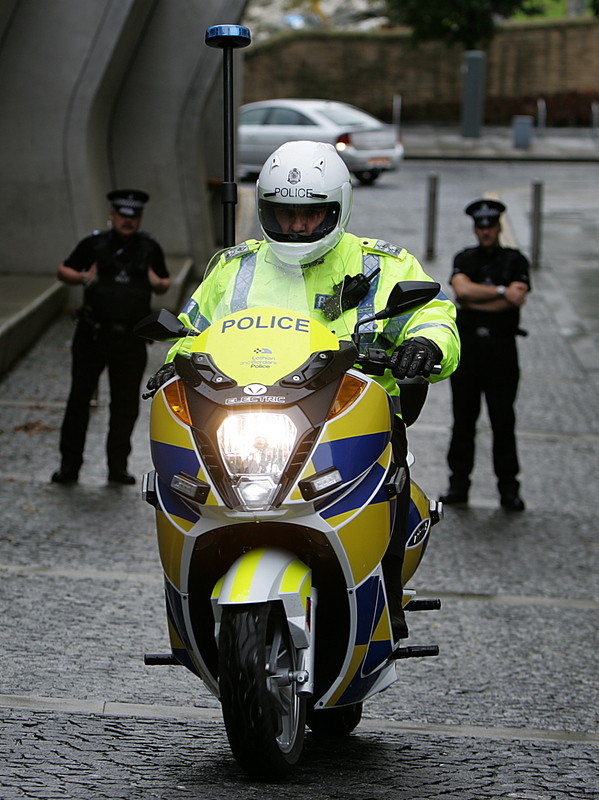 However, the Suzuki bike – which had also been left without a secure lock – was recovered nearby. EDUCATION secretary Mike Russell has been accused of losing focus of the Scottish education system and having “far too much fun” in his job. 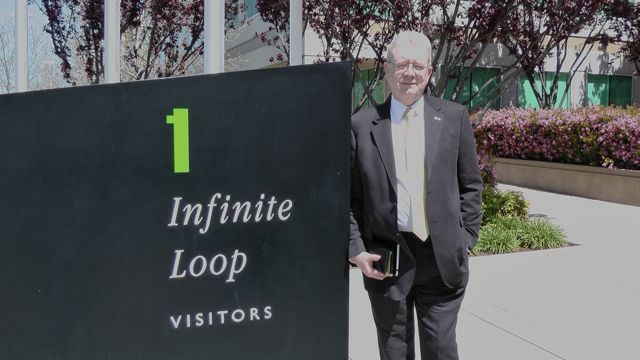 The SNP minister was criticised for making transatlantic visits to the likes of whisky events, a golf tour firm and a visit to Apple’s HQ in California. His travel and engagement diaries were released after a Freedom of Information request by the Scottish Labour party, who said the implementation of the new Curriculum for Excellence should be his priority.